Galvanize. Last week, the EuroEPINOMICS RES working groups made the final decisions for the selection of trios for exome sequencing at the Sanger Centre, funded jointly by the Sanger Programme on paroxysmal neurological disorders and the EuroEpinomics RES fund. We pushed the button for 102 patient-parent trios to be sequenced. And for some reason, I caught myself humming “Galvanize“, the 2005 big beat hymn by the Chemical Brothers. World, the time has come to push the button. EuroEPINOMICS RES is structured into working groups. 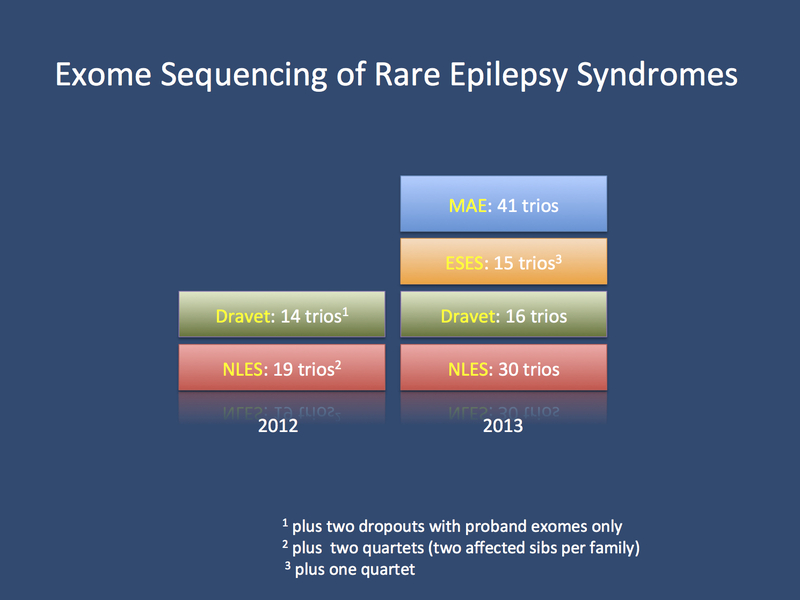 Therefore, the selection of patient-parent trios for sequencing was left to the working groups for NLES (non-lesional epileptic spasms), LKS/ESES (Landau-Kleffner-Syndrome), Dravet Syndrome (SCN1A-negative) and MAE (Myoclonic-Astatic Epilepsy). The NLES working group was the last group to choose the patients for sequencing and we had a lively debate last week whether the focus should be on patients with good or bad outcome. We eventually opted for a mixture, but the entire debate reminded us of the fact that Infantile Spasms are a disease entity that is poorly understood. In particular, there is not a single positive gene finding in patients with idiopathic infantile spasms, i.e. a good response to antiepileptic drugs without lasting cognitive deficits. During this debate, the question came up how we actually define “good outcome”. Either way, I was very happy that the concluding conversation on sample selection reflected some of the diversity that European epileptology is known for. Behind the scenes. During the last few months, several things were happening behind the scenes that most people were probably not aware of. This involved setting up a water-proof contract for the Exome Fund, sample collection and quality control and shipping of samples. The efforts involved became painfully clear to us when a sample shipment to Sanger failed in late December due to technical issues. For a few days, it wasn’t clear whether we would have to forfeit our exome spots worth 80K Euros, which made me as the person to blame have nightmares and gain 2 kilos – I paradoxically gain weight when under unusual stress. In the end, however, everything worked out well and the samples are finally on their irreversible path to being sequenced. What are our lessons? First, no phenotypes, no sequencing. We were very strict about having complete phenotypes prior to considering sequencing and phenotypes had to be entered in our BENCH database. Luckily, there were only few incidences when we had to raise our voices and indicate that samples might actually not be included. Other than this, everybody was great in entering the necessary clinical data. Second, every large project needs a dedicated biobank. Even though every future project will include many different groups, we won’t get around centralizing these tasks. The Antwerp and Kiel group were working at the limits of what we could handle and at least for the Kiel group, I am not sure whether we can manage to be a sample switchyard again. Third, be prepared to make long-ranging decisions and never rush. There is no such thing as a fast exomes. And don’t make promises. It might be that the samples of the collaborator you like best has all its samples failing at the last second in quality control. If you’re working on a strict deadline, this is unfortunately, but not completely avoidable. Therefore, we have tried to be very transparent in what we did. The Exome Fund. The current sequencing effort were co-financed by the Sanger Paroxysmal Neurological Disorders Programme and the EuroEPINOMICS RES fund. In retrospect, we were probably a bit shortsighted not to apply for a joint large sum for sequencing in the beginning, but the structure of the Eurocores projects would have made this difficult. In summer last year, there was some talk suggesting that we need a “hedge fund” for sequencing. Now, eight months later, we have realized the Sanger Exome fund, the first sequencing fund generated through a collection system that is reminiscent of crowd funding. We have had more than 20 groups contributing to the fund, which has helped us in doubling the number of sequencing spots for the 2013 round. Overview of the existing data and samples for the 2013 cycle. The 102 patient parent trios and one quartet are on their way to the sequencer. Finally. Take a deep breath. We have pushed the button and the samples are on their way. We expect results in April/May. Given that we are co-financing the sequencing at the Sanger Centre, the turnaround time will be faster than in 2012 when we had to wait for accessible slots for sequencing. The analysis engines are already running, ready to crunch some exomes for de novo mutations and inherited variants. Thanks to everybody who was instrumental in getting us that far in particular our two BENCH enchantresses Johanna and Sarah. Let’s take a deep breath before we dive into the plethora of the genetic data of 102 trios. This entry was posted in 2013, Bioinformatics, EuroEPINOMICS and tagged crowd funding, Dravet Syndrome, ESES, exome sequencing, Galvanize, Infantile Spasms, landau kleffner syndrome, LKS, Myoclonic Astatic Epilepsy, sanger centre, The Chemical Brothers, trio design. Bookmark the permalink.